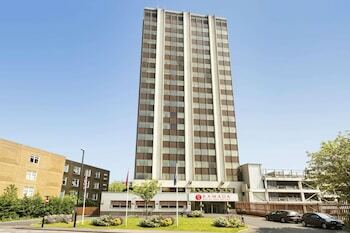 With a stay at Ramada Hotel and Suites Coventry in Coventry, you'll be within a 10-minute drive of Coventry University and Lady Godiva Statue. Featured amenities include a business center, express check-in, and express check-out. Event facilities at this hotel consist of conference space and meeting rooms. Self parking (subject to charges) is available onsite. A stay at The Tower House places you in the heart of Oxford, steps from Exeter College and Covered Market. The front desk is staffed during limited hours. With a stay at New Inn Hotel in Newport, you'll be within a 10-minute drive of Caerwent Roman Town and University of Wales-Newport. Free self parking is available onsite. With a stay at The Holly Hill Inn in Richmond, you'll be within a 15-minute walk of Richmond Castle and The Station. Free self parking is available onsite. Located in Bodmin, The Crown Inn is within a 10-minute drive of Lostwithiel Museum and Wingz Bird and Animal Sanctuary. Free self parking is available onsite. With a stay at Ringbane House Hotel Blackpool Bed and Breakfast in Blackpool (South Shore), you'll be within a 5-minute drive of Blackpool Pleasure Beach and Blackpool Beach.